Whereas Marvel has executed their “Cinematic Universe” in a pretty tight and coherent manner, DC’s use of their superheroes has been much spottier. Really, other than Christopher Nolan’s Dark Knight trilogy, the DC characters haven’t soared on big screens. Superman suffers in this way. One year after Nolan’s acclaimed and popular Batman franchise reboot, Bryan Singer attempted to do the same for the Man of Steel with 2006’s Superman Returns. The movie made almost $400 million worldwide, but saddled with a budget of $270 million and mediocre reviews, it went down as a disappointment, one that stalled the Superman franchise. After 2008’s Dark Knight and 2012’s Dark Knight Rises took Batman to even greater heights, DC tried again with Superman via 2013’s Man of Steel. With a worldwide take of $668 million, it did much better than Returns, but its enormous $225 million budget meant it probably failed to turn a profit – and since both Dark Knight and Rises earned more than $1 billion each, Steel became another disappointment. Given the enormous success of 2012’s Avengers, DC seemed to seek safety in numbers, a factor that led to 2016’s Batman v. Superman: Dawn of Justice. Nominally a sequel to Man of Steel, Dawn acts more like a prequel/set-up for the Justice League movie set to come out in the fall of 2017. Indeed, Dawn starts with a flashback to events from Steel, though from an alternate point of view. As the city-crushing battle between Superman (Henry Cavill) and General Zod (Michael Shannon) progresses, we see how mogul Bruce Wayne (Ben Affleck) – aka Batman – reacts to the rampant destruction. Hint: Bruce feels unhappy, and he blames Superman’s carelessness for the loss of life. Jump ahead a few years and we see conflicts that surround Superman. Some view him as savior while others fear him as a threat to humanity. The latter crowd includes Senator June Finch (Holly Hunter), a lawmaker who holds hearings to address these controversies. Bruce/Batman also feels concerned about the unchecked god in his midst, and Superman returns the favor. He views Batman as a lawless vigilante who does more harm than good. Add to the mix the anti-Superman machinations of business mogul Lex Luthor (Jesse Eisenberg) and events lead toward confrontations on multiple fronts. Even though I thought Steel was badly flawed, I still genuinely had high hopes for Dawn. I love the characters - the Dark Knight films might be my favorite trilogy of all-time - and I'm not one who hates director Zack Snyder. Yeah, Snyder's made some bad movies – I still don’t get the success of 2007’s 300 - but he's brought us some good ones, too. If we could get the Snyder of 2009’s Watchmen, I figured Dawn could be great. I avoided all the pre-release discussion and reviews because I wanted to go in with an open mind. I did see the trailers, and they showed promise. The actual movie, though, fell short of expectations and hopes. While superior to Man of Steel, Dawn came with far too many flaws. Though Dawn starts well, as I like the view of the Man of Steel climax from Bruce's vantage. This offers an interesting perspective that launches the movie in fine fashion. After that? Dawn doesn't muster a coherent narrative as much as it tosses out random plot points. One tidbit of info here, another nugget there, all of which eventually adds up to… not very much. Everybody hates each other. Bats hates Supes. Supes hates Bats. Lex hates Supes. After all while, I just wanted them to hug it out and let us move on with our lives. Dawn bears the influence of Frank Miller’s seminal 1986 graphic novel The Dark Knight Returns, particularly in the manner it bring us a confrontation between the leads. The “Batman vs. Superman” motif in Returns made sense, as Miller built it in a logical, organic manner that suited the narrative. In Dawn, however, the BvS part feels contrived. Batman and Superman seem to hate each other because the script tells them to feel that way, not because it really makes sense. I also find it perplexing that Clark/Superman seems to view Batman as some new crimefighter. In the Dawn universe, it’s clear Bats has done his thing for decades, but the movie still presents him as some outsider figure – even though the police ally with him! There seems to be some desire for the film to have it both ways. It wants the renegade Batman of the Dark Knight films but also wants to present him as an older, more bitter figure. This doesn’t really work. Again, Miller’s Returns found a solution to this issue, but Dawn leaves its Batman as a somewhat confusing figure. Did he retire and return at some point? Has be been a constant crimefighter? I don’t know, as the movie fails to spell out this topic, all while it acts like he’s a semi-unknown quantity. None of the actors do much. I like Affleck in comedic parts but he can't handle emotional range well. He lacks the gravitas Christian Bale brought to the Dark Knight films and feels like the proverbial empty suit. I’m eager to see Affleck’s planned Batman solo film, but that’s more because he’ll direct it – he’s become way more interesting behind the camera than in front of it. In the midst of this glum, passionless enterprise, Eisenberg delivers a hint of actual entertainment, but not enough to lift the project above mediocrity. Actually, Eisenberg's performance seems a bit odd, as he gives a strangely quirky take on Lex. Eisenberg's Lex feels more like a Batman villain than the level-headed megalomaniac I recall. This Lex feels like Eisenberg’s audition to play the Riddler. The movie comes packed with moments that should produce awe or wonder or excitement or pathos, but none of them succeed. I never care about these characters - they're drawn in a thin manner and do little to earn our attachment/emotion beyond our pre-existing opinions of them. On the positive side, I do think the film’s climactic battle works fairly well. It’s not the most coherent action piece, but it musters the excitement and fervor that so much of the prior two hours desperately lacks. Dawn also sets the stage for the upcoming Justice League reasonably well – though even there, matters seem ham-fisted. The MCU built toward Avengers in a fairly subtle way, whereas Dawn bludgeons us with its future plans. Indeed, the movie occasionally feels like little more than a prologue for Justice League. Still, I find the future combination of DC characters to intrigue me. The sight of Batman, Superman and Wonder Woman as a coherent fighting unit in Dawn presents some of the movie’s most exciting moments, so I hope that Justice League will deliver the goods. Given Zack Snyder’s continued presence behind the camera, though, I’ll enter that film with cautious expectations. I’ll say this; Dawn works much better than Man of Steel, and I will admit I liked Dawn more the second time I saw it. This additional viewing didn’t fix the movie’s problems, but it allowed me to better discern positives. I just wish I could dig out more praise to heap on the film. Dawn comes with a good opening and a moderately exciting climax, but too much of the rest of the film drags and lacks coherence. I don’t view Dawn as a bad movie, but it disappoints. 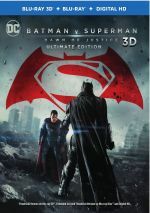 Batman v. Superman: Dawn of Justice appears in an aspect ratio of approximately 2.40:1 on this Blu-Ray Disc. The movie offered an excellent visual presentation. In terms of palette, the movie often went with Hollywood Standard Teal and Orange. Predictable as that might be, the tones appeared well-reproduced within their stylistic constraints. Blacks were dark and deep, while shadows looked smooth and clear. The image satisfied. I also liked the dynamic Dolby Atmos soundtrack of Dawn. Because I don’t have an Atmos-equipped system yet, this played back as a Dolby TrueHD 7.1 mix, and it gave me an exciting presentation. With so much action on display, the soundscape boasted many opportunities to shine, and it took advantage of them. Via the reprise of the Man of Steel climax, the movie kicked off with a bang, and the elements used the various channels in an active, dynamic manner. Add to that nice stereo music and some directional dialogue to end up with an engrossing soundfield. In this package, we get two versions of Dawn. Disc One provides the movie’s theatrical cut (2:31:40) while Disc Two includes an Ultimate Edition (3:02:33). How do the two differ? The biggest change – and improvement – relates to the UE’s depiction of Luthor. He often stays in the background during the Theatrical Cut, but Lex plays a significantly more prominent role in the UE, especially in terms of the ways he manipulates other characters. In addition, the UE better explains Batman’s current status and his push toward rougher/more violent methods. We see more clearly how the “Bat Brand” impacts criminals, and we also better understand Clark’s obsession with him. Both factors help patch up a lot of question marks from the Theatrical Cut. Other additions/expositional bits occur as well but these elements dominate and allow the UE to provide a substantially stronger version of Dawn. Do the additions “fix” Dawn? No – I still think the movie comes with some of the negatives I mentioned in my main review, mainly because the characters still lack the level of emotional heft I’d expect. But the UE does manage a more powerful punch – I won’t call it moving, but it gets closer to that sentiment than the flat Theatrical. Most importantly, the UE simply makes more sense. Character motivations seem clearer – especially connected to Luthor – and the entire narrative fits together more cleanly. Again, these changes don’t turn Dawn into a great movie, but unlike the Theatrical Cut, it’s one I can watch and enjoy – and recommend. For the Theatrical Cut, we also find a 3D Version. The technical comments above connect to the 2D edition – how did the 3D Dawn compare? In terms of 3D effects, the movie started well, as the opening sequences showed a lot of immersiveness and pizzazz. After that, however, the 3D elements seemed less involving. Some good moments still occurred – primarily during the climactic battles – but I didn’t think much stood out as memorable. The 3D aspects added occasional zest but not as consistently as I’d prefer. In addition, the quality of the image suffered. This became true mainly due to ghosting, which offered surprisingly frequent issues. Especially during interiors, I noticed a “halo effect” that made the visuals messy. Other aspects of the image were better but still not great. A dark, gloomy movie, Dawn came with a 3D transfer even darker and gloomier than its 2D counterpart, so it showed blander colors and weakened low-light clarity. The 3D version suffered from too many problems for me to recommend it – I wanted to feel impressed by the visuals but the combination of ghosting and lackluster 3D imaging left this one as a flawed presentation. All the set’s extras show up on Disc One alongside the theatrical cut – and all of these encompass featurettes. Uniting the World’s Finest runs 15 minutes, five seconds and delivers info from director Zack Snyder, producers Charles Roven and Deborah Snyder, executive producer/DC Entertainment CCO Geoff Johns, Wonder Woman director Patti Jenkins, Suicide Squad director David Ayer, Suicide Squad producer Richard Suckle, Suicide Squad actors Will Smith, Margot Robbie and Jared Leto, executive producer Wesley Coller, and actors Ben Affleck, Gal Gadot, Jason Momoa, Ezra Miller, Henry Cavill and Ray Fisher. “Finest” looks at the movie characters who will eventually form into the Justice League. “Finest” really feels like a teaser for upcoming films, so don’t expect much substance. 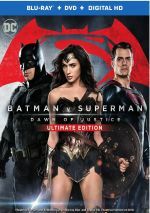 With Gods and Men: A Meeting of Giants, we get a 12-minute, 28-second reel that features Affleck, Cavill, Johns, Roven, Deborah Snyder, Coller, Zack Snyder, co-producer Curtis Kanemoto, still photographer Clay Enos, and actors Laurence Fishburne and Diane Lane. “Meeting” looks at the Superman and Batman characters as well as their combination here. We find a passable overview but not something with much depth. Next comes The Warrior, The Myth, The Wonder. In this 21-minute, 16-second program, we find info from Deborah Snyder, Coller, Gadot, Lane, Zack Snyder, Johns, Robbie, Kanemoto, Roven, Jenkins, artists/writers Molly Crabapple and Phil Jimenez, Secret History of Wonder Woman author Jill Lepore, artist Cliff Chiang, “Share the Wonder” online network moderator Jennifer B. White, character creator’s son Pete Marston, artist/educator Carla Gannis, journalist Quinn Norton, media literacy educator Andrea Quijada, musician/author Amanda Palmer, “3rd Wave Fund” executive director Rye Young, cast trainer Mark Twight, Saucy Magazine founder/editor Kristen Taylor, Suicide Squad actor Viola Davis, and comic writer Brian Azzarello. “Warrior” presents a quick history of the Wonder Woman character. It delivers a fairly good summary, even if it occasionally feels like another promo for Wonder Woman. Hosted by extreme sports commentator Sal Masekela, the 22-minute, 46-second Accelerating Design: The New Batmobile features Zack Snyder, production designer Patrick Tatopoulos, specialty vehicle designer Dennis McCarthy, concept designer Ed Natividad, 2nd unit director/stunt coordinator Damon Caro, set designer (vehicles) Joe Hiura, stunt driver Mike Justus and Batmobile crew Michael Scot Risley. As implied, we learn of the design and creation of the movie’s Batmobile. While glossy, the program includes good details and offers a fine overview of the topic. Superman: Complexity and Truth takes up seven minutes, eight seconds with details from Cavill, Zack Snyder, Deborah Snyder, costume designer Michael Wilkinson and stuntman Albert Valladares. 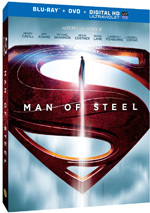 “Truth” discusses aspects of the movie’s depiction of Superman, with notes about costumes, stunts, and themes. Though brief, “Truth” brings us some interesting tidbits. After this we go to Batman: Austerity and Rage. 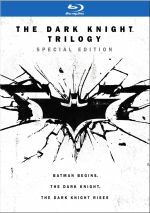 It lasts eight minutes, 15 seconds and provides material from Affleck, Zack Snyder, Johns, Wilkinson, Roven, Deborah Snyder, stuntman Richard Cetrone, property master Doug Harlock and actor Jeremy Irons. “Rage” discusses the same topics as “Truth” and becomes another useful program. Another hero comes to the fore in Wonder Woman: Grace and Power. This six-minute, 48-second show includes Deborah Snyder, Gadot, Twight, Caro, Wilkinson, Harlocker, Zack Snyder, fight choreographers Ryan Watson and Guillermo Grispo, and director of photography Larry Fong. “Grace” follows the path from the last two featurettes, and it works fine. For the seven-minute, 12-second Batcave: Legacy of the Lair, we hear from Deborah Snyder, Tatopoulos, Zack Snyder, Irons, Harlocker, onscreen graphics Gladys Tong, and art director Beat Frutiger. Like the title indicates, “Lair” looks at the design and creation of the movie’s Batcave. It becomes an engaging overview. A major fight scene becomes the focus of The Might and The Power of a Punch. During this five-minute, 15-second piece, we locate an analysis of the movie’s climactic Batman/Superman battle. Some of this seems interesting, but it’s not a great piece overall. In The Empire of Luthor, we discover a 12-minute, 33-second featurette with Johns, Zack Snyder, Jimenez, Cavill, Roven, Fishburne, Coller, production supervisor Bill Doyle, and actors Holly Hunter, Amy Adams, and Jesse Eisenberg. “Empire” offers another character-based examination, with a look at Lex Luthor. This delivers an efficient enough summary. Finally, Save the Bats presents a public service reel. The four-minute, 37-second clip features Zack Snyder, Affleck, Coller, Adams, and Organization for Bat Conservation executive director Rob Mies. As expected, this program offers a PSA to explain how bats help the planet and need to be assisted. I respect its goals. Disc One opens with an ad for Suicide Squad, while Disc Two provides a promo for Batman: The Laughing Joke. No trailer for Dawn appears here. After the severe disappointment of Man of Steel, Batman v. Superman: Dawn of Justice offers an improvement – but not as much of one as I’d hoped, at least in its erratic Theatrical Cut. On the other hand, the longer Ultimate Edition becomes a substantially stronger tale that makes much more sense and seems fairly exciting and compelling. The Blu-ray boasts excellent picture and audio along with a decent roster of supplements. In its Ultimate Edition incarnation, Dawn becomes a good movie. The UE is the way to go, as the 3D version of the Theatrical Cut doesn’t look good enough to push me toward it.